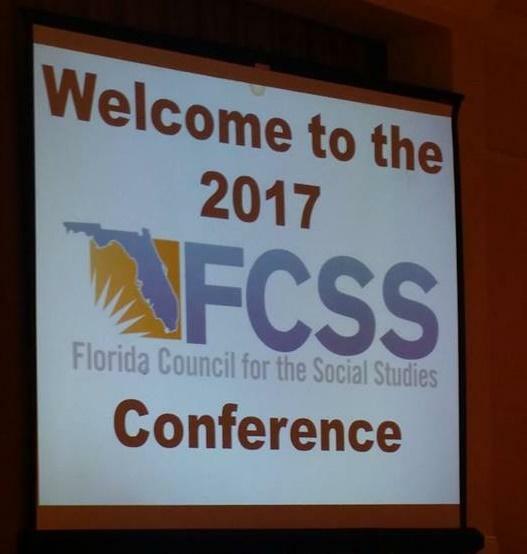 Jan Karski gained new followers among social studies teachers at the annual Florida Council for the Social Studies (FCSS) Conference, which took place on October 20-22 in Palm Harbor, FL. 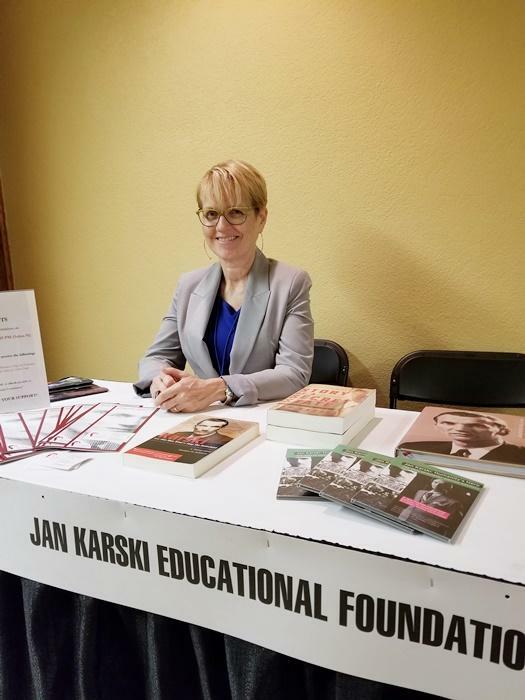 The Jan Karski Educational Foundation (JKEF) was present at the event, promoting the Karski legacy at the display with Karski related materials, such as the graphic novel Karski’s Mission to Stop the Holocaust, the Karski wartime memoir Story of a Secret State, Educational CD, and other educational resources. In addition, the JKEF’s Project Manager Bożena U. Zaremba gave a well-received presentation about Karski through the images taken from the graphic novel, leaving the attendees inspired by the story of Karski’s life and by the impact he can have on young people. 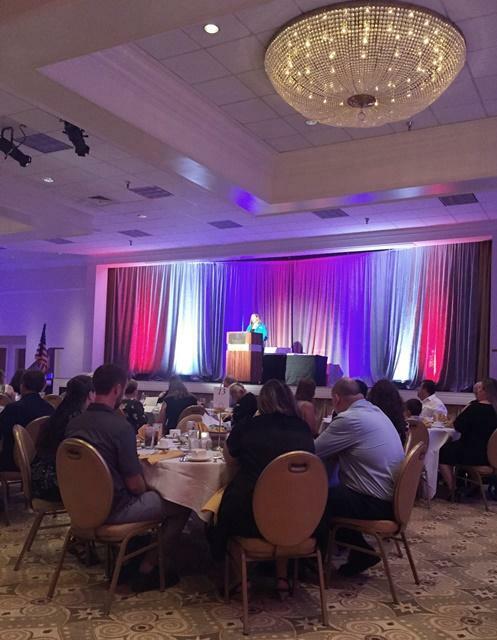 The conference opened with a “Time Machine” event held in the Exhibition Hall at the Innisbrook Resort. Relevant information and educational materials were presented by approximately 30 exhibitors (including JKEF) such as publishers of social studies course books, the Florida History Museum, the Institute for Curriculum Services, as well as non-profit organizations, such as Youth for Human Rights and Arnold-Liebster Foundation, which promotes the knowledge about the persecution of Jehovah Witnesses during the Nazi era. 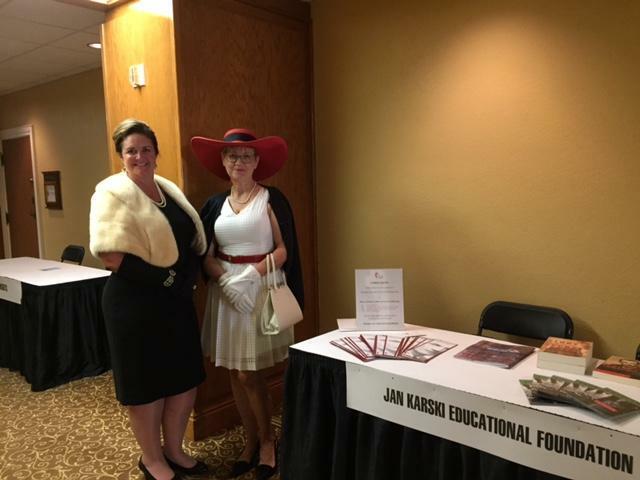 To celebrate the 60th anniversary of FCSS conferences, for this event, the participants dressed in the style of 1958, when the first FCSS conference was held. 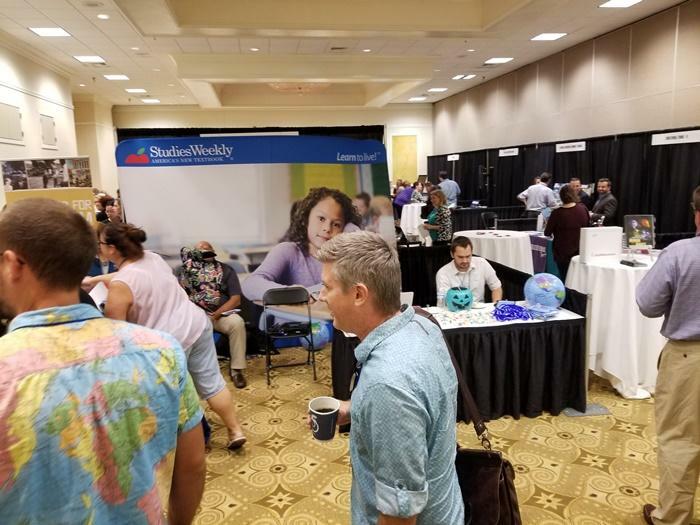 The conference gathered over 300 teachers, educators, and administrators from all around the state of Florida, who gave almost a hundred presentations during concurrent sessions that lasted three days. 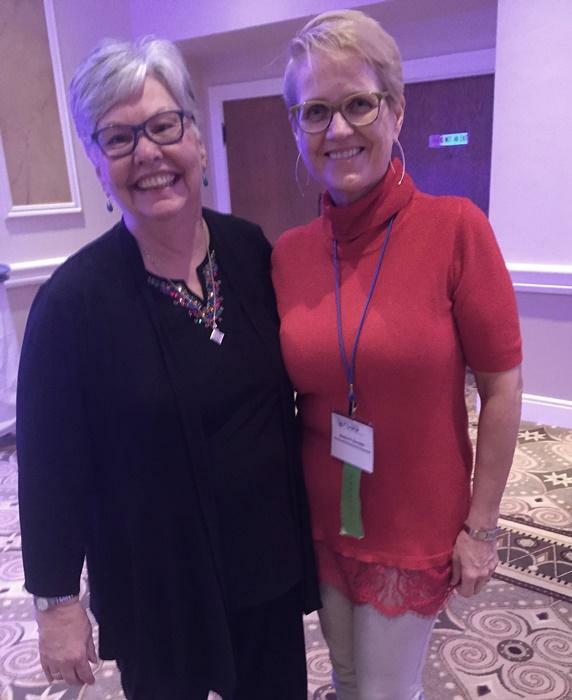 The wide-ranging topics covered such areas as instruction, methods of teaching, access to resources, and content. The latter often brought to light unfamiliar events in the world and US history or encompassed interdisciplinary subjects. 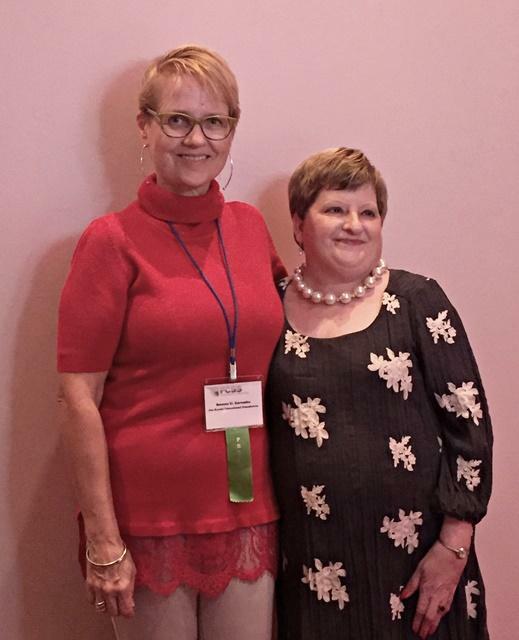 During a special award gala, outstanding teachers and educators were honored for their exemplary work. 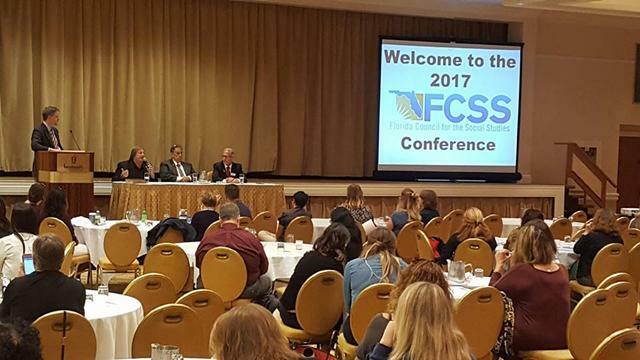 Also, the new FCSS Board of Directors was sworn in. Presentations that might be of interest to Karski supporters were those related to the Holocaust studies. “The Holocaust by Bullets. 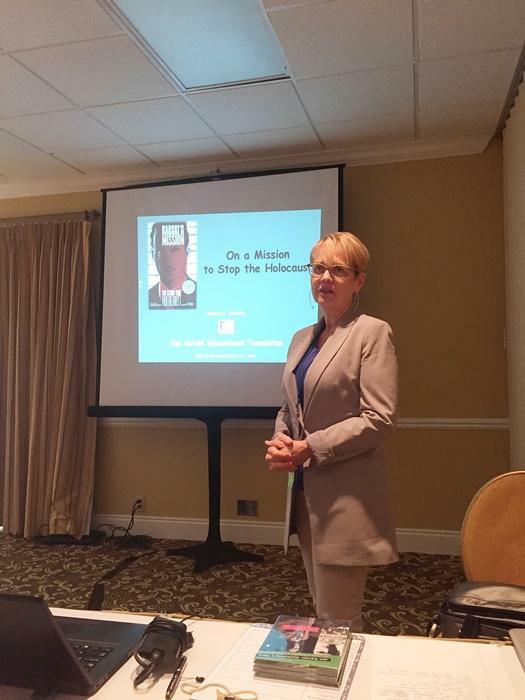 Mass Graves in Ukraine” was presented by Maureen Carter, K-12 Holocaust Studies Program Planner and member of the School Board of Palm Beach County and Urszula Szczepinska, Curator of Education and Director of Research at the Florida Holocaust Museum. The presenters explored the work of Father Patrick Desbois, a French Catholic priest and founder of the Yahad-In Unum, an organization dedicated to locating the sites of mass graves of Jewish victims of the Nazi killings in the former Soviet Union. Ms. Szczepinska also shared an interesting exploration into the definition of a term “collaborator,” which sometimes takes us into grey areas. “Civics and Holocaust Education,” presented by Mitchell Bloomer of the Holocaust Memorial Resource and Educational Center of Florida, Dr. Terri Susan Fine, Professor of Political Science at University of Central Florida, and Dr. Rachayita Shah of Florida Atlantic University provided a very informative and stimulating insight into course-related standards and benchmarks. 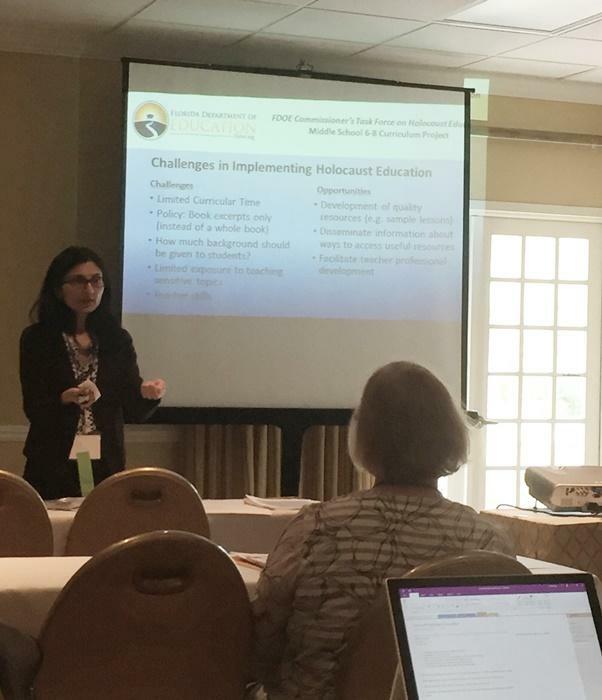 Dr. Shah reflected on the challenges that educators face while introducing the Holocaust education to schools, and revealed research results which show that a personalized approach to teaching the Holocaust, such as meetings with Holocaust survivors or reading their diaries, create a favorable environment for Holocaust education and encourage students to learn more, and that students who have taken courses in Holocaust tend to display positive citizenship values. 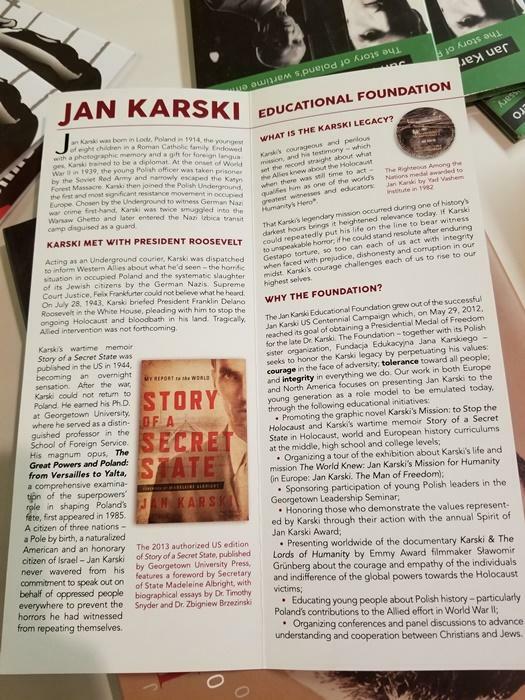 The Jan Karski Educational Foundation wants to express gratitude to the organizers of the conference for such a thought-provoking and well-planned event, and for making it possible to share the Karski legacy and the Foundation’s mission with those who have a tremendous impact on our youth.